Contributed Graphic/Courtesy KidsAndCars.org: A woman mistakenly left her 2-year-old child in an SUV during a shopping trip to Walmart on Christmas Eve. SAFFORD – A mother was horrified to learn she had accidentally left her 2-year-old daughter alone in a locked SUV during a last-second trip to Walmart on Christmas Eve. A good Samaritan parked next to the SUV and noticed a little girl sitting in the back in a car seat. After waiting for about 10 minutes for someone to return to the vehicle, the woman called authorities at about 4:02 p.m. Upon arrival, an officer made contact with the girl through the window. The girl did not appear to be in distress, so the officer had Walmart staff page for the driver of the SUV to return to their vehicle instead of breaking a window or attempting to break into the vehicle. Approximately 20 minutes later, a bewildered mother appeared and denied having a child in the SUV. When she saw the girl, she exclaimed she had forgotten the girl hopped into the vehicle as she raced to the store at the last minute and that she simply forgot the child was there. 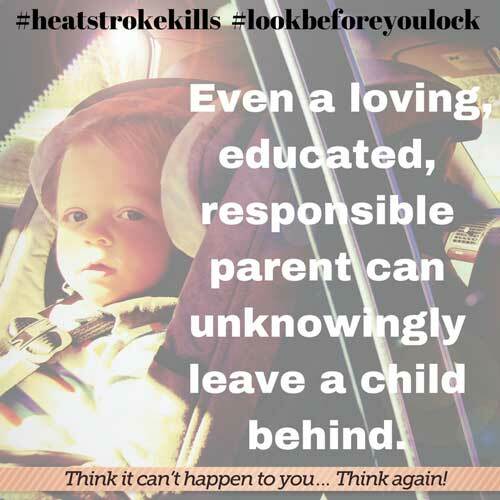 According to the website kidsandcars.org, 43 children have died from heatstroke after being left in vehicles in 2017 and that some died with outside temperatures as low as 60 degrees. The reason behind that is the greenhouse effect that occurs in vehicles, causing a quick increase in temperature. This is an all-too-well-known occurrence in warm states such as Arizona, Georgia, Texas and Florida, which see a number of child deaths every year from being left in cars, especially during the hot summer months. Part of the problem, which appears to possibly have occurred in this case, is when the basal ganglia (which stores habit memories such as driving to work and back every day) enables a sort of auto-pilot zone where it suppresses the prefrontal cortex and changes in the basic routine are not accounted for, like having a child in the back seat when running to the store when they normally wouldn’t be there. To fight this from happening experts recommend a parent or caregiver to get into the habit of checking the back seat before locking the door and leaving. A trick to help with this is to leave something you will need (cell phone, wallet, handbag, etc.) in the back so that you physically have to look back there before leaving. Another trick is to place a large stuffed animal in a child’s seat and when the child is in the seat to move the stuffed animal to the front. That way, a driver knows there is a child in the seat in the back without even looking due to the puffed driving partner up front. Accidents happen, but following these simple tips – as well as always keeping vehicles locked so children cannot play in them while parked at a home either – can help avoid a simple accidental mistake from potentially becoming a tragedy. On Christmas Eve, one family’s Christmas thankfully did not go down as the one where they lost a child. After the mother and daughter were reunited, the officer informed the mother that she would have to write out a report and send it to the Graham County Attorney’s Office for review. 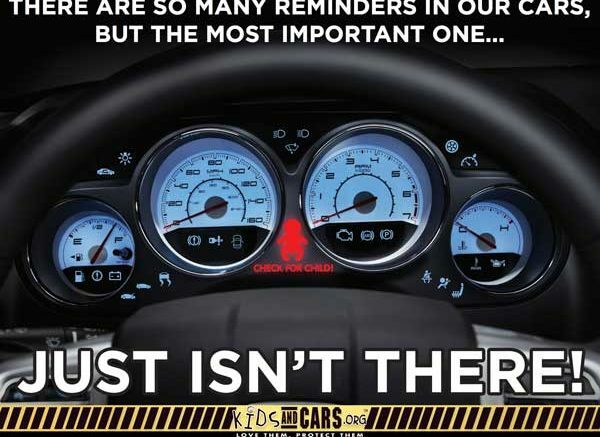 For more information about the prevention of leaving unattended children in vehicles and more visit kidsandcars.org.